Entrepreneurship is getting increasingly popular nowadays. Plenty of startups emerge all around the world every single day, but only a few are destined for success. But how to be the lucky one? Frankly, there is no room for luck at all, as you can benefit only through hard, deliberate, and painstaking work. In this article, we are going to pay more attention to digital startups. Everything begins with an idea. Besides, the market is rarely in standstill, so startups have as little time as possible to present their projects to the public. However, dream big, but take your time. 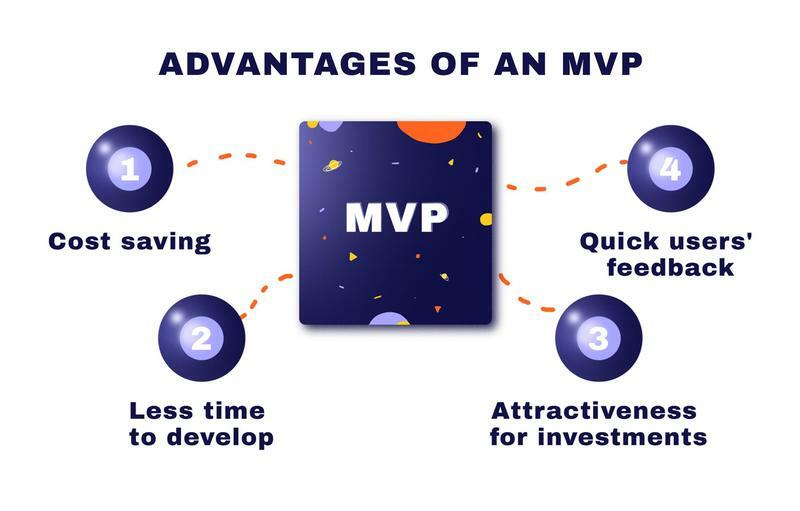 The startup culture has a number of various challenges and problems, and this is why, we believe, it is an appropriate moment to introduce you to an MVP. A minimum viable product definition more or less varies, since it is a concept. The term itself was coined and defined by Frank Robinson and popularized by Steve Blank and Eric Ries. The latter wrote The Lean Startup, a work that determined the formation of many companies. He defines an MVP as “that version of a new product a team uses to collect the maximum amount of validated learning about customers with the least effort.” The approach is proved to be rather efficient, and many large international companies used it in the beginning. As a result, we can conclude that an MVP is a fully operational web or mobile application with enough functionality to meet the requirements of early users and gather feedback. “M” and ”V” stand for minimum and viable. The general idea is to comprehend the required minimum and make it equally viable. The use of the concept of a minimum viable product became a common practice in the IT industry, for it allows startups to understand whether their product is able to attract potential users without investing much time and money. What audience are you targeting by your product? Your app is capable of solving a particular problem, isn’t it? Will your product stand out? Are there any rivals on your way? How will you generate money by it? Starting a minimum viable product development makes sense only if you answered yourself all these questions. Let’s model a real-life situation: you’ve come up with an original idea of how to provide people with shelter. Usually, a house has a foundation, one or several floors, and a roof. However, despite all the progressive construction methods, it still takes plenty of time. In the meantime, the user wants the solution as soon as possible. Will he or she be pleased with only a foundation and several walls? Definitely not, since even a basic version of the project has to solve the main problem, and the major purpose of a shelter is to evoke a sense of security in people. As a result, such an approach is not feasible. It would be more appropriate to begin with a simple hut, later you can pitch a tent, then you will be able to build a bungalow, whereas the final product might even be a skyscraper. Such a scenario is also applicable to the IT industry. Moreover, almost every currently popular startup had been a rather primitive one at one point, and gradual development brought them to success. Pursuant to Go-Globe latest data, 74% of high growth internet startups are set to fail owing to premature scaling, while startups that expand properly perform a 20-fold faster growth. 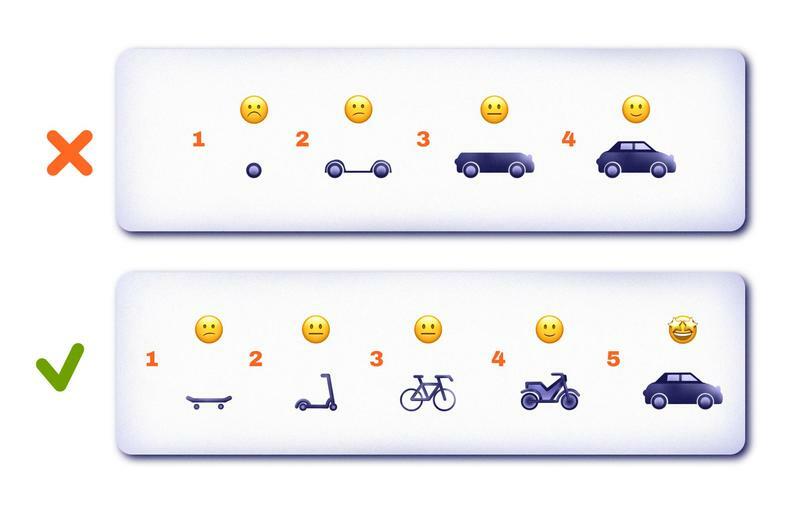 Have you ever heard about such minimum viable product examples? Everyone is aware of what Airbnb is now, plenty call upon its services on a daily basis, but only a few can recollect how it looked like in the beginning. Facing the problem of paying rent and lack of cash, Brian Chesky and Joe Gebbia decided to share their apartments with attendees of their hometown conference at a minimum charge. They launched a minimalistic website, posted some photos of the apartment and that is it. After a while, demand for the services skyrocketed. Their concept of a minimum viable product managed to prove its feasibility. As of today, Airbnb not only leases millions of flats all around the globe but also provides a number of other options, namely yoga lessons, canyon rafting, cooking classes, various wildlife encounters, etc. After such prosperous startups, one will no longer doubt about how useful could be an MVP development for a startup. Find your target audience and understand its needs and expectations. Before wasting thousands or hundreds of thousands on product development, make sure you are building something the customer needs and, it is vital, can afford. Build an MVP for a particular platform. Do not try to please everyone at once. Even if you have enough funds, it is wiser to choose one of the platforms at first. List the features you want to introduce. Many young entrepreneurs start panicking when it comes to what MVP key features should be initially implemented. Only basic, but fully operational ones have the right to exist on this early stage. Their major goal is to allow users to solve their current issue, nothing more. If you plan to build an MVP, do not set a long-term target, get it done gradually, step by step; do not plan anything way ahead. The urgent issue is to attract users. There is no use scheduling other upgrades whereas the product enjoys poor demand. Perfectionism can backfire in the circumstances. One should deliver a real working product, not eye candy. Although your minimum viable product examples may have a catchy design, admirable visuals, and plenty of functions, the user might show a little interest in it, for it does not solve its problem. Without taking the above mentioned into account, an MVP’s attributes will be neither minimum nor viable. We are still trying to convey the idea that there is no sense in implementing all the features at a time. This tips might encourage some entrepreneurs to stop and adjust the development process. They might even think something like that: “Oh, OK, we’ve substantially advanced with our project, but the whole thing is to bring a minimum viable product to the market, not a complete working product. It is better to define and temporarily remove currently unnecessary features from our MVP, improve the major ones, and release the product.” And the approach will only favor them. How can startups benefit from an MVP? It slashes costs. High inputs frighten entrepreneurs the most. They often wonder how much does it cost to build an MVP. The figure can be attributed to many factors, since more complex projects need higher expenditures. However, when it comes to an MVP, it costs notably less (within $10,000-$20,000 on average), and a price of a mistake is substantially lower. You are able to gather users’ feedback and test the product interactively. It allows you to collect information about the most and the least popular features as well as improve an MVP correspondingly. The product resolves a particular issue but has no additional functions so far, but early users are able to suggest improvements that might be introduced later. It saves your time. Creating a minimum viable product mobile app as well as a web app requires as little time as possible. In addition, one can always adjust the development process. Earlier, custom software was developed according to initial specifications. But customer needs would inevitably change until it was completed. According to Lean Startup, the startup MVP methodology we’ve mentioned above, and Agilie team estimations, the first version of an MVP should take about 12 weeks or 3-4 months. Notably, this time includes not only programming but also design stages, that are an integral part of a minimum viable product development. It enables you to attract investors and first paying customers. The benefits are obvious: your product starts generating money, thereby you can advance in adding new features to your MVP. Although designing a minimum viable product is only a part of the development cycle and is optional, it would be rather essential if you have a scale project. But whom to make responsible for it? There are several ways to build an MVP. On the one hand, nothing prevents you from creating a minimum viable product yourself. Yet, it requires a deep knowledge of coding and a huge amount of time. Remember, one has to represent all MVP key features in the best light for as little time as possible, because the market is constantly on the march. On the other hand, you can put together your own team. Still, it is way more difficult. Here one will have to consider a bunch of various aspects besides the project itself. Hiring people is a time-consuming process, and it takes a lot more to retain them. Besides, the quality of the product might be affected, as a newly gathered team will hardly operate as smoothly as an experienced one. Another thing is that you can hardly predict the results. Eventually, the most suitable option of how to create a minimum viable product is to outsource it. Let us consider the pros and cons of the approach. in some cases, an outsourcing company from another country may cost you less, but this largely depends on where are you from. absence of frequent personal meetings due to different locations. All in all, a minimum viable product development is one of the most appropriate models for startup companies. It takes a little time to make an MVP for a startup and equip it with a basic set of functions that can address the user issue. It enables you to save time, money, and human resources if one is frugal with them. We hope that this article granted you all the information you needed. Whereas you have any questions left, we’re always ready to provide you with our expert advice. Contact us! Why do apps update so often and when should you update your app as the owner? Read our article to learn about all benefits of updating apps. Perfection Knows No Bounds, or Who Needs Testing? In this article, we're going to tell you about the role of testing in the development cycle. Also, we'll explain to you how to cope with different kinds of errors and save money. Read to know all the details.